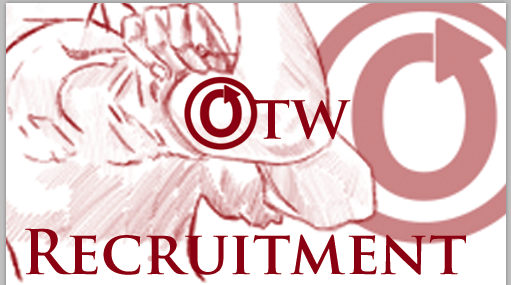 If you have questions regarding volunteering for the OTW, check out our Volunteering FAQ. Have you checked out the OTW’s budget for 2018? Did you by any chance look at it and go, hey, I could help them with that? If you have a background in finance and accounting, and if you’re up for contributing some time and knowledge, we’d love to hear from you! The OTW Finance committee is responsible for ensuring that the organization’s financial reporting and records are accurate and timely. The Financial Analyst position handles monthly bookkeeping and bank reconciliations, assists in the creation of the annual budget, helps coordinate annual audits, and contributes to annual financial statements. Financial Analysts will also take the lead on other projects, such as insurance renewal and internal documentation, as requested by the Finance Committee Chair. More information about the Finance Committee can be found at the Finance Committee Page. Have you checked out the OTW’s budget for 2018? Did you look at it and go, hey, I could help them with that? If you have a background in finance and investment, and if you’re up for contributing some time and knowledge, we’d love to hear from you! The OTW Finance committee is responsible for ensuring that the organization’s financial reporting and records are accurate and timely. The Investment Specialist position manages the OTW’s investment portfolio and advises the Finance Committee on investing opportunities. They monitor account activity, analyze statements and reports, and provide suggestions on how to structure the investment portfolios to get the maximum return within specified parameters. Are you interested in the rescue and preservation of fanworks? Enjoy coordinating projects and liaising with people? Still guiltily–or not so guiltily–love the first fanwork that opened your eyes to fandom? Open Doors is a committee dedicated to preserving fanworks in their many native formats, and is looking for staffers to support this goal. The work we do preserves fan history, love, and dedication to fandom: we keep online archives from going down, divert fanzines from the trash, and more. If you’re interested, click on through for a fuller description of what we’re looking for and the time commitment. Apply at the volunteering page!